Michael Naimark, A moviemap of Karlsruhe, 1991. Bulat Galeyev, Video Baby, 1988. 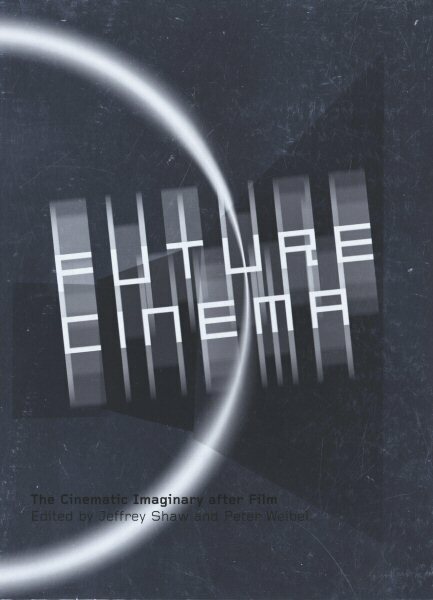 Future Cinema: The Cinematic Imaginary After Film. Edited by Jeffrey Shaw and Peter Weibel, 2003. The exhibition Images du Futur was set up in an abandoned warehouse in the Old Port of Montreal. Inside, the space was divided up into kiosques, as if for a trade fair. But here, right next to Amiga, IBM and stands promoting computer animation consoles, on the one hand, and information booths for visual arts academies and research institutes, on the other, the space was given over more to (art)works, to multimedia installations and the viewing devices of individual artists or artists’ collectives. Where SIGGRAPH, for example, showed the lastest versions of some software, Images du Futur showed an individual, original work produced using that same software. While the layout of the exhibition resembled that of a trade fair, once visitors had a chance to consider the nature of the objects on display and, more particularly, the way in which they were showcased, the exhibition began to seem more like an art show — with this one difference, however: there were more objects than one would expect to see in an art gallery. This space, the content of which made it a uniquely open and heterogeneous zone, helped to keep visitors immersed in a sort of "atmosphere room." The concept of the atmosphere room was introduced into 20th-century museum theory and practice in 1922 (2) by Alexander Dorner, Director of the Landesmuseum in Hanover. Dorner, for whom this museum was a "Versailles-like palace," felt that the existing options for exhibiting works there smacked too much of the old style. He came up with the novel idea of plunging viewers into environments inspired by the specific culture of each work. The Renaissance gallery, par example, was housed in a predominantly white or grey space that stressed its cube-like appearance and reminded one of the period’s interest in geometric space and the rules of perspective. The walls in the Baroque gallery were covered in red velours and hung with pictures in gold frames. And the Rococo gallery was in pink and gold, and so on. The central idea behind the atmosphere rooms was that they would showcase the dominant styles of each epoch. In line with this interpretative conception and the exhibition options that follow from it, I am suggesting that Images du Futur be considered a veritable atmosphere room: in this respect, what visitors should see is its own present put on display. For example, using an industrial location in the 1980s revealed — and quite early at that — what was to become an increasingly widespread trend in so much urban design and industrial architecture during those years. By the early 1990s, in fact, it would be firmly established on a massive scale. Moreover, the choice of a single exhibition space, an open zone in which an abstracted, noisy crowd would move with increasing astonishment from, say, an installation toward a video monitor and then on to an unsettling hologram, all the while immersed in a sound continuum — this environment of sensory overstimulation seems to me to argue for a certain continuity between the Sunday heterotopia, (3) that other festive place represented by Images du Futur, and the great international science and technology expositions of the early 20th century. Visitors’ attention would have been drawn by visual and acoustic appearances that impaired their sense of where they were and caused them to lose their bearings, so that they suddenly found themselves deprived of a privileged viewpoint. They would thus have been faced with conditions of reception best defined as chaotic and anti-illusionist, insofar as the devices that projected images onto a monitor, or generated them on a particular surface, would be considered just as interesting — if not more so — than the images shown. The idea of the image thus finds itself imbued with new meaning: for the image in images of the future is not only what extends across a surface, but what corresponds to the device in its totality (which generates surface images, can be touched and gives us — or tries to give us in programmatic fashion — the strange sensation of being able to touch the traces, echoes and images that come to us straight out of the future). Generally, viewers/users of the technological devices employed in exhibitions like Images du Futur are interested in the technical dimension, the "how." I could undoubtedly interpret the whole of Images du Futur by basing myself on the following comment that Anne-Marie Duguet made with respect to the early days of video and, more especially, in reference to Jean-Christophe Averty: "There was a shift away from the production of fantastic effects associated with the imagination and toward a greater manipulation of perception [...] The spectacle was to be found also, and sometimes first and foremost, in the technical feat." (4) This way of exhibiting images, the tradition of which goes back to the great international expositions, draws attention mainly to the technical devices producing the images. It is, moreover, the ancestor of the "new" ways of exhibiting film in museums. I am thinking now primarily of the exhibitions Projections: Les transports de l’image (Le Fresnoy, Studio national des arts contemporains, April-June 1998; Dominique Païni curator); Future Cinema: The Cinematic Imaginary After Film (ZKM, November 2002-March 2003; Jeffrey Shaw and Peter Weibel curators); and X-Screen: Film Installations and Actions of the 1960s and 1970s (MUMOK Museum of Modern Art in Vienna, December 2003-February 2004, Matthias Michalka curator). The model for the type of viewer suggested by the future and showcased by the exhibition Images du Futur can be found in the distant past of 19th-century trade fairs and fairgrounds. Just as if they were dealing with the optical amusements of the 19th century, viewers attending Images du Futur were continually being asked to, indeed obliged to, do this or that to obtain the effect sought by the designer. "Look through the hole." "Spin around." "Touch this button." "Press here." It is also essential, in exhibitions like Images du Futur, that viewers be authors of experiences and experimental subjects. It is a question of experience because they are continually solicited by the works, which pull them out of their anonymity and abstraction (the flâneur’s preferred state). Their images are continually being picked up by the video cameras, which transmit them onto varied surfaces. This was the case, for example, with Hidenori Ishida’s Boggle Planet (1993), shown at Images du Futur in 1994. In this piece, a video camera that filmed approaching viewers was hooked up to an Amiga computer that processed the image before transmitting it to a spherical monitor measuring about two metres in diameter and composed of numerous small screens. Viewers saw their images live on these screens — a very slight delay was still required to process the image — disassembled and multiplied as if in a kaleidoscope, since each crystal was made up of the same image: theirs. In another case viewers, by shifting their weight on a pressure-sensitive carpet, imposed frame shifts on images of a city that were projected in front of them. This was the case with Michael Naimark’s A Moviemap of Karlsruhe (1991), presented at Images du Futur in 1992. Our viewer could also alter sound sequences by making use of touch screens. This is what Bulat M. Galeyev had in mind when he presented his Video Baby at Images du Futur in 1991. In this interactive video installation, a TV screen set into a baby carriage like the one seen in Battleship Potemkin showed the image of a baby on its back, howling and crying desperately. The magnetic tape emitting these cries stopped as soon as visitors touched and rocked the screen, only to start up again the second they took their hands away. Perpetually beleaguered by these "images of the future," constantly yanked from their position as passive voyeurs, viewers were experimental subjects in a twofold sense: while they touched, listened, looked at and tried out on themselves each of these images of the future that their physical involvement brought to life, they were also the guinea pigs in the experiment. The objects on display owed their existence to the visitor’s experience since their behaviour varied with use, interacting in accordance with a vast spectrum of variables that the technological bricoleurs who created them observed and recorded. I must point out in passing that, within the framework of the exhibition Images du Futur, the figure of the technological bricoleur was transfigured: he now assumed the status of an artist and his works, for their part, were no longer presented as technological curiosities but as works of art. At the same time, each type of software used in a device, like each component of the device itself, could be modified following a study of its behaviour. In short, Images du Futur was not guided by the kind of "showcase aesthetic" usually found in events featuring ideas about the future and geared to the general public, like theme parks and technological trade fairs (see also "Some Ideas of the Future"). The exhibition presented itself, rather, as a framework for experimentation with a systematic approach to discovery. Experimentation, systematic interactivity, the cult of the auteur — how could an image of the future be constructed out of all these elements? The future proffered in our exhibition presents itself as an accumulation of sensory stimulation. In 1988, Hervé Fischer, one of the two directors of the exhibition, categorically declared: "This new electronic culture is not only multimedia but multisensory; it calls upon all our senses [...] visitors are invited to move about, to touch, feel and listen." (6) Sensory hypertrophia is not necessarily tied to the future, but the idea that Images du Futur promoted to the public ensured that, in the near future, sensory participation in the things of the world would be more complete and satisfying, amounting to something like enjoyment overload and enhanced by the fairground character of the whole thing. You could almost hear a hawker yelling, "Step right up, ladies and gentlemen, and touch these images of the future..."
Images du Futur was a protean and prototypical event characterized by substantial institutional confusion. A cross between experimentation and a certain museological practice (promoting artists of the period, producing objects and represented by them at the same time) with its sights constantly set on interactivity, Images du Futur was a bold attempt to have works of art, commercial projects and scientific presentations coexist within one and the same space. It was torn between integrating the new technologies into art practices and constructing a discourse about the future (a discourse that became, in reality, a reflection of the technological present by means of the viewer’s sensory apprenticeship), in addition to presenting everything that might stem from inspired exhibition practices of the past. Images du Futur sought, in short, to grasp what relationships among the arts, technology and communications would look like in the future. If it jumbled together different times and exhibited objects whose origins were relatively remote from one another (and required visitors to participate in ways that varied from one to the other), this was merely an effect of a changing world that one would have been hard pressed to pin down in a stable, uniform institution. Rapid technological change and its relationship to communications and the arts found a meeting place in this exhibition, which gave birth to a new sort of institution that, in reality, became — as it was meant to be — transitory, ephemeral, heterogeneous and hardly very normative. But the heterogeneous components (exponents of various natures , from art to technological demonstrations) that were presented as all of a piece in Images du Futur were eventually absorbed by more distinct and unequivocal institutions. For example, installations, depending on their status and/or circumstances, were recycled through "Art" or entertainment industry channels (Boggle Planet, the last I heard of it, was in a Tokyo discotheque). Computer animation, for its part, has found its way into specialized festivals like Art Futura (held in Barcelona since 1997) (7), while the scientific/didactic element has been taken up by institutions like the Museum of the Future, operated by the Ars Electronica Center in Linz (founded in 1996) (see also "Some Ideas of the Future"). The very factors that gave Images du Futur its strength and uniqueness — its manifold features and the lack of unity among them — also explain its episodic character and fully account for its cluttered quality, which probably cost it its life in the second half of the 1990s. (1) This title echoes that of a work by Lynne Cooke and Peter Wollen on the new issues of museology: Visual Display: Culture Beyond Appearances, edited by Lynne Cooke and Peter Wollen (Seattle: Bay Press, 1995). (2) Cf. 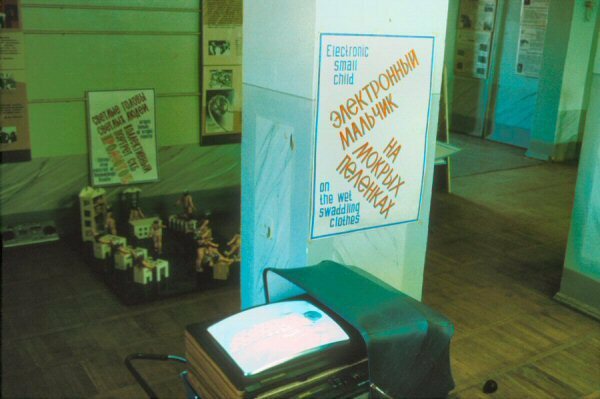 Mary Anne Staniszewski, The Power of Display: A History of Exhibition Installations at the Museum of Modern Art (Cambridge, Mass./London: MIT Press, 1998), p. 16 and subsequent. (3) Michel Foucault uses the concept of heterotopia as a category for analyzing places. See “Des espaces autres” , in Dits and écrits, vol. 4 (Paris: Gallimard, 1994). (4) In Anne-Marie Duguet, Jean Christophe Averty (Paris: Dis Voir, 1991). (5) Walter Benjamin, Paris, capitale du XIXe siècle : le livre des passages, translated from the German by Jean Lacoste, after the original edition edited by Rolf Tiedemann (Paris : Éditions du Cerf, 1989), p. 51. (6) Le Soleil (13 Août 1988).